Thermal spray wire is also called Arc spray wire and Metalizing wire. It is used as feed material for many coating operations, such as electric arc spray and flame wire(combustion wire) spray processes. 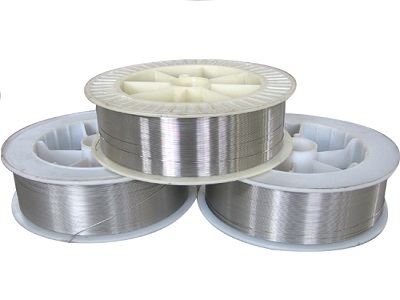 Heanjia Super Metals Co., Ltd. supplies nickel base alloy thermal spray wires. 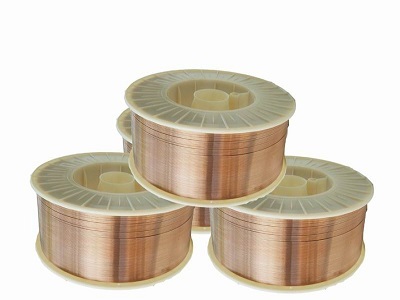 Our product is widely used as replacement wire for Oerlikon Metco, Sulzer Metco, Praxair, Tafa, and Eutectic. It is a good choice to reduce your cost. Thermal Spray wire’s wire diameter is a key factory in the application. It is essential to have a close match between the thermal spray gun set-up and the wire size, so it is important to specify the wire diameter before buying and buy the thermal spray wire that is manufactured with precision diameter control. Thermal Spray Wire‘s another critical point is wire feeding. Thermal spray wire is different from generic wires. Using generic wire manufactured for other industries can cause wire feed jams, excessive wear of feed components and lead to inclusions in the final coating. Standard industrial wire may have surface scaling. Meanwhile, it is very important for thermal spray wire to avoid kinks, weld joints or other features that could lead to feed problems. We wound the wire on spool one level layer at a time to avoid these problems.